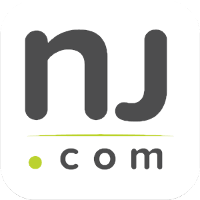 The penalties for a first-time DWI offense in the State of New Jersey can include jail time and the revocation of your driver’s license. Although these DWI penalties are harsh, the good news is that there are almost always to fight the case and beat your charges. For example, your arrest might have been invalid if the police officer did not have probable cause to initiate the traffic stop. An experienced DWI defense attorney may be able to challenge your arrest and get your charges dismissed. The attorneys at the Tormey Law Firm understand the nuances of New Jersey DWI law and know how to recognize and expose infringements of drivers’ rights. Founding partner Travis J. Tormey has handled countless Driving While Intoxicated cases throughout Essex County, including Orange, Montclair, and Caldwell. Additionally, the firm’s DWI defense team includes a former DWI prosecutor and a retired NJ State Trooper who is certified in Alcotest operation and field sobriety testing. Our vast experience in this area of law allows us to attack the facts of your case so that you can prevail in court. Call the Tormey Law Firm today at 201-654-3464. You can also view examples of our Successful DWI Verdict & Settlements. Some of the most common traffic violations that serve as probable cause for a DWI stop in New Jersey include Speeding, Failure to Maintain Lane, Talking on a Cell Phone, Broken Headlight or Taillight, Obstructed View, Leaving the Scene of an Accident, and Driving with a Suspended License. 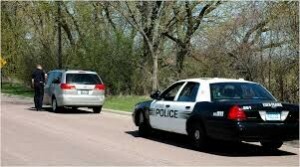 If an officer has a reasonable and articulable suspicion that a driver is in violation of one of these traffic laws, they may stop the vehicle. However, if probable cause for the traffic stop was lacking, then anything the officer discovered after the stop – such as a drunk driver – is inadmissible in court. This is known as the “fruit of the poisonous tree doctrine.” Basically, an invalid traffic stop will invalidate the prosecution’s entire case. Some traffic stops are initiated at a sobriety checkpoint or roadblock. These drunk driving checkpoints must meet certain constitutional requirements. The New Jersey Supreme Court held in State v. Moskal that a DWI checkpoint’s location should be based on historical arrest rates at the location. Moreover, the court said that notice of the checkpoint must be published so that drivers have advance warning. If the police fail to meet these requirements, any traffic stops at the DWI checkpoint are invalid. Additionally, if the police fail to follow proper procedures at any point during the checkpoint stop, the DWI charges may be dismissed. The Tormey Law Firm recently got a DWI charge dismissed after police officers conducted a DWI checkpoint without the proper regulations in place. The experienced DWI defense lawyers at the Tormey Law Firm are prepared to fight your DWI charges and protect your constitutional rights. You can call us anytime at 201-654-3464 to discuss your drunk driving case, or you can email us to schedule a free consultation at our Newark office.